Have you done a reboot or tried a reinstall ? What language is your operating system? Is it anything other than English ? 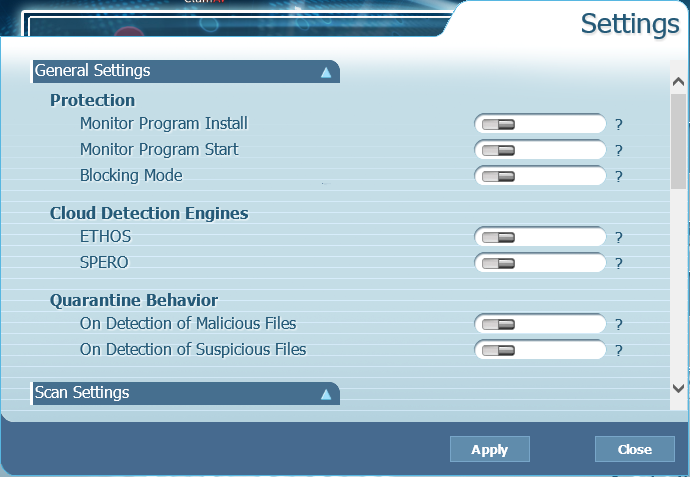 Does the main UI for immunet look weird as well? I've seen users report this behavior before on earlier 5 builds. Where portions of the UI and the settings are greyed out and not accessible. The process iptray.exe not launching properly at startup or possibly because of some other program interfering with the UI's process.